Would you like to download files attached in flipbook? 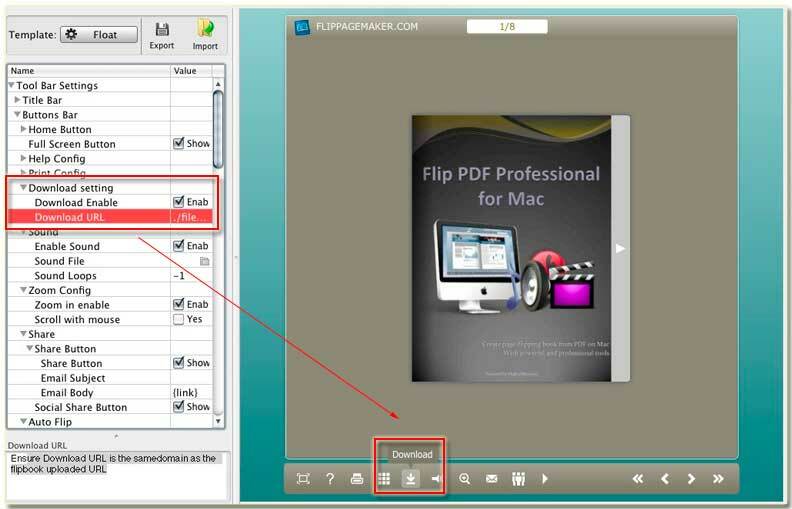 Many people consult whether they can attach a file in flipbook for people downloading. You know, you can send the output HTML or app format to others. Anyway, you can put the downloading file in the directory which will send to others. When people receive the flipbook, they can click the download button and then get the file. Of course, you can upload the file which to be downloaded online, and paste the file’s URL in FlipBook Creator for MAC download settings. You know, the output type APP doesn’t support download. So here, we teach how to enable the download function for HTML output type. Step1: Move the mouse to the settings place on the left, and then find out the options of downloading. Step2: First check the Download Enable, and then enter the download path in the below form. Note: if you want to send the HTML flipbook to others and enable them to download a PDF file, you have to put the file in the flipbook package (in one folder). The path seems like to be this “./files/download-file.pdf”. 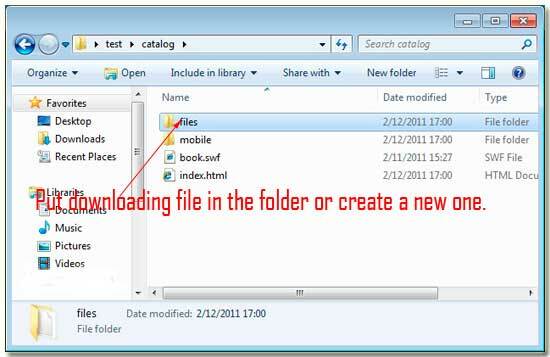 files is the folder in the output folder. ./ stands for the flipbook folder.